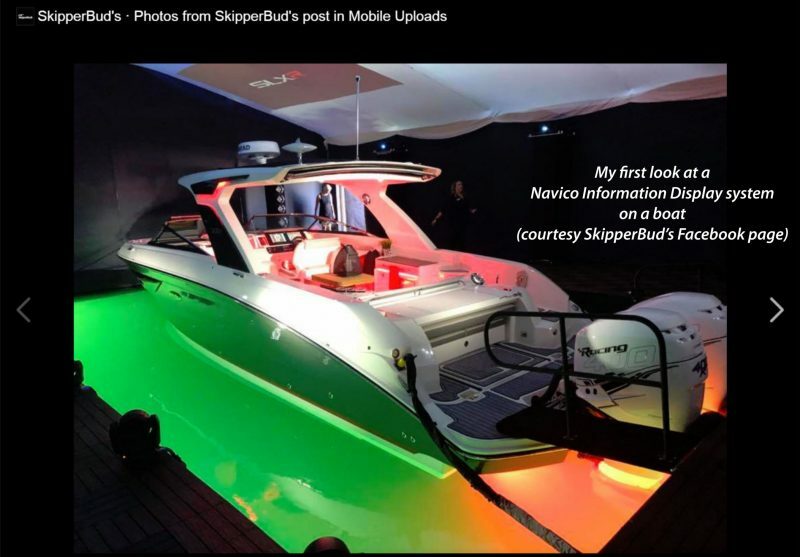 Fort Lauderdale, Florida – The new, state-of-the art Dockmate® wireless remote control system will allow a boater to easily operate single or twin engines, thrusters, anchor winch and horn from anywhere on board with a small handheld device. 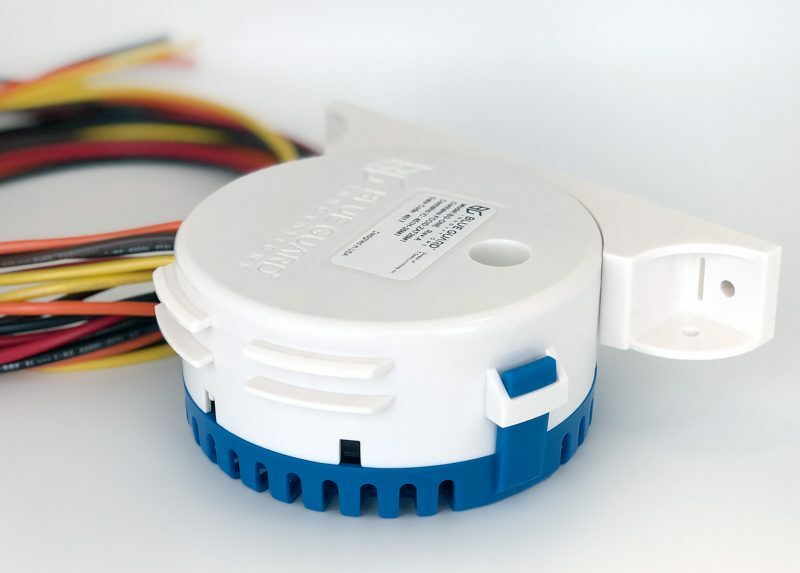 The Dockmate® is a wireless extension of a boat’s controls and it has the exact same feeling and response time of the accessories mentioned above. With the Dockmate® system, a boater is able to leave the helm and get a much closer look at his surroundings in marinas and other tight quarters, while still in complete control of the boat’s movement, resulting in stress-free docking. 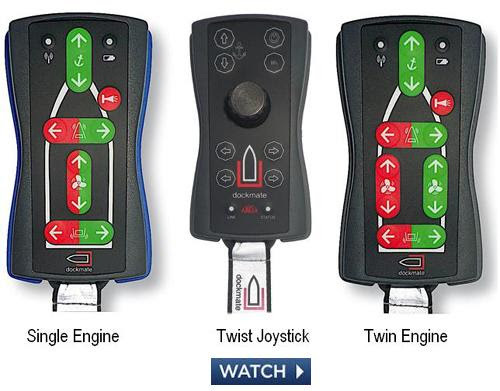 Dockmate® offers 4 wireless remote control systems: the Single, Twin, the Twist 3-axis joystick with proportional control and Twist IPS for Volvo Penta IPS or Zeus pods. A 5 function Dockmate® system which controls two engines, a thruster, anchor winch and horn is available for a retail price of only $6,800. • 2 way communication, ensuring faultless operation. • 88 bit encoding for reliable data transmission. • 12 double relays, 2 single for improved safety. • Visual and audible confirmation on the transmitter of the receiver status. • Range of 150 feet (50 meters). • Waterproof transmitter with rubber finish. • Automatic take command via the transmitter to make it the active station. • Panic function/emergency switch-off on the transmitter. • Automatic shutdown of the transmitter after 30 minutes of non-use. • Complete flat surface of the transmitter, no switches that can be moved accidentally. • Modular construction of the receiver; each receiver can be fully customized in a couple of minutes, additional control modules can be ordered and installed anytime. • Easy to hide receiver (8.75 x 8.75 x 2.5″). • Power supply to the receiver (12 of 24V) from 2 different sources for increased safety. • Waterproof connectors on the receiver. 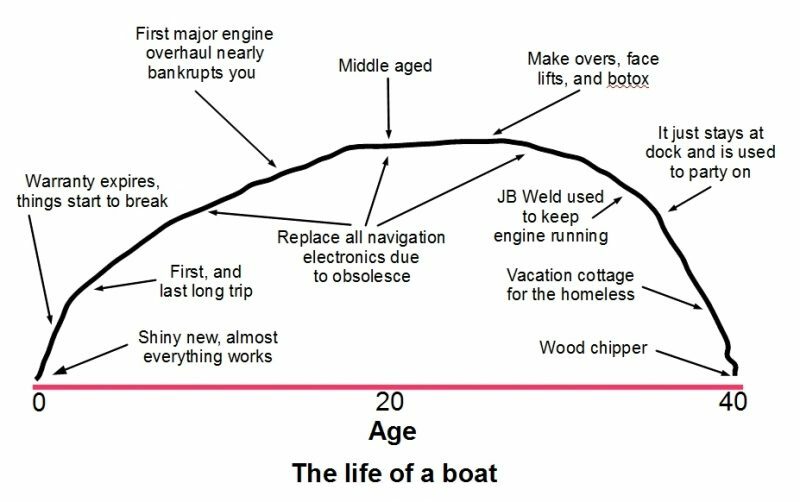 • Also available for single engine boats. For more information about Dockmate® wireless control systems, visit the Dockmate web site or call 954-998-1430.